People that use substances such as alcohol, benzodiazepines and opioids (heroin/methadone) on a daily basis will very rapidly develop a tolerance to the substance that then turns into physical dependency. A physical dependency is characterised by the individual experiencing withdrawal symptoms when they try to stop taking the substance. 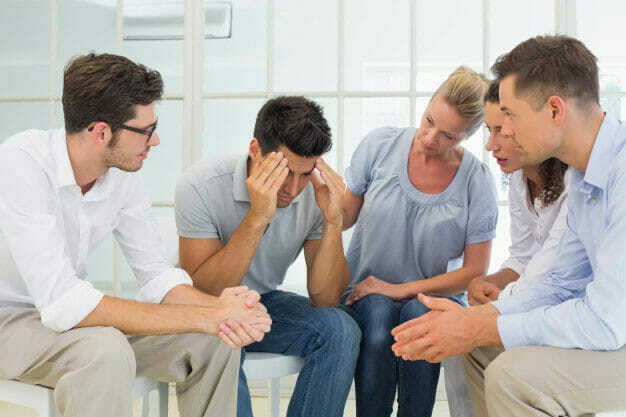 Medical detox process is the process which is necessary for a person with a physical dependency to safely stop using a substance without suffering these extreme and in some instances, fatal, withdrawal symptoms. It mainly involves substituting the substance of abuse with a safer, alternative medication and tapering the dose of this medication over a period of time to minimise and often completely eliminate any withdrawal symptoms. The medical detox process and medications used vary depending on the substance of abuse, whether it be Heroin/opiate detox, Alcohol detox, Benzo detox or other detox treatments. Although many in the medical community still do not view addictions such as cocaine, cannabis or ketamine to require medical detoxification, it is often beneficial for supportive medications to be prescribed to help people to stop using these substances. Users of New Psychoactive Substances (NPS, formerly known as legal highs) such as GHB and Spice also require medical detoxification as the withdrawal symptoms from these drugs can be just as bad as alcohol withdrawal symptoms. All of the doctors that Rehab Healthcare works with has specialist qualifications in the management of Alcohol and Drug Abuse and through experience and new scientific evidence. Doctors from around the country have developed protocols for alcohol, opiate and benzodiazepine detox which are proven to be safe and effective. Detoxification also involves removing all of the toxins from the drug abusers body and when in a residential rehab facility, patients are supported to make healthier lifestyle choices in terms of their diet and consumption of water to help remove the toxins from the body. How Long Does It Take To Undergo a Medical Detox? Where Can I Have a Medical Detox? It is possible for individuals who require medical intervention to receive a ‘Home Detox’ which Rehab HC can help to arrange. This is usually only in the case of alcohol detox for uncomplicated alcohol addiction and not for opiate, benzo or any other addiction. The process of Home Detox will depend on whether it is privately funded or arranged through the NHS. If it is done via the NHS, it involves the addicted person being initially assessed by a doctor at the local community drug and alcohol team, who will prescribe the detox medication and draw up the reduction plan for the person to follow. It will then likely involve the client is regularly visited at home by an NHS Community Nurse or a Support Worker during the period of detox. This is however not guaranteed due to staff shortage hence the reason alcohol/drug detox is not readily available on the NHS. If the Home Detox is arranged privately the patient will be assessed by a doctor or nurse prescriber in their home or through another process. The doctor will prescribe the medication and draw up the reduction regime which will then be handed over to a family member or friend who must be present throughout to give out the medication to the individual according to the plan. Though it may seem like an easy option, there are downfalls to home detox as a treatment option. The first is that another person must be present with the addict to administer the medication, which can be problematic from a practical perspective. At the same time, if there are any significant problems in terms of withdrawals there is no medical professional on hand to assist and support. Being at home also does not lend well to a conducive environment for someone to detox and there is no counselling alongside the medication, so alcoholics are unable to deal with the underlying issues behind their addiction. It is for this reason that not many alcoholics are deemed suitable for a home detox due to the complexities that can arise from it and the long-term success rate is low because the addict is only treated for the physical dependency, not the psychological addiction. However for some people, Home Detox may be a preferable route and if this is the case, Rehab Healthcare has access to a network/team of doctors, psychotherapists and pharmacies with a system in place to carry out this process safely and promptly. Call us if you would like to inquire about a home detox. The safest environment for someone to undergo a detox is in an inpatient setting, managed and monitored by medical practitioners such as Doctors or Nurses. In extreme cases of alcohol dependency where there are also co-occurring health conditions such as liver disease, it may be a requirement for a detox to take place in a hospital, though you cannot just present at an A&E department and request to be detoxed. You cannot get a detox from opiates or benzodiazepines in a hospital setting. At a residential rehab centre, the medication that is prescribed by the doctor will be managed by treatment staff and if there are any complications with the detox, clients can be reviewed by the doctor or nurse and supportive medications can be administered to treat the symptoms of withdrawal. Some detox clinics have medication on-site so that they can meet the needs of their clients in a very responsive way. There are other benefits to completing an inpatient detox at a residential rehab facility. Firstly, you will be in a completely new environment, away from the stresses and strains of everyday life, with no distractions. This means that the individual can completely focus on their treatment and not be faced with triggers that could lead to relapse. Another significant benefit is that whilst undergoing the detoxification, clients will receive group therapy, 1-2-1 counselling and other psychological treatments that help to address the underlying problems. This helps people to distract themselves from the physical side of the detox and gives people the emotional strength and hope that they can overcome their addiction for good. Call Rehab HC now and speak to us in confidence!. We shall help you in your decision-making process and support you through your recovery process.